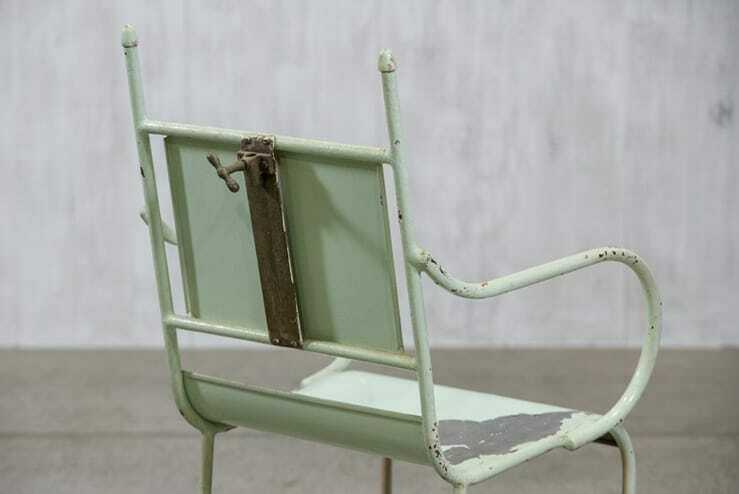 Antique medical examination chair with a unique silhouette. The original adjustable headrest has been removed. 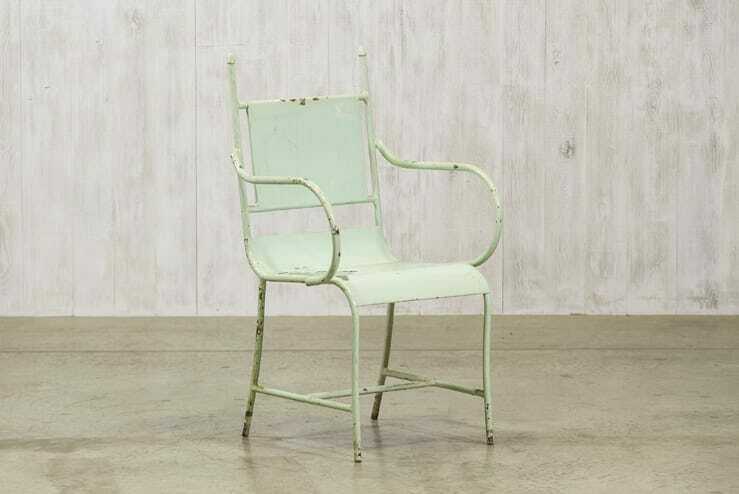 Please note: The pale aqua paint has worn away in some areas.